Anyone who follows me on Twitter will know I take the train for almost all my journeys, and many of these are business trips. Sean Hanley has asked me to sum up my experiences in a blog entry, so here goes. This post should be read in conjunction with the ones about the Eurostar Aachen trick, and Germany cheap tickets, and all my travel observations are here. The train is not going to be your best bet for every rail trip in Europe. Distances are often too great, and on many routes connections are simply too poor. For example London – Amsterdam / Brussels / Köln / Frankfurt / Strasbourg / Lille / Paris / Lyon / Montpellier / Marseille / Geneva / Zürich should all be viable with just one change, and a journey time of 5-6 hours. London – Hannover / Berlin / München / Milan / Toulouse / Barcelona are too far for most people, or need 2+ changes. Within continental Europe even some short hops (like Milan – Marseille, or München – Prague) have such awful connections that flying may still be the best bet. For timetables I always still use DB Reiseauskunft (in English here) for timetables for my entire trips. This part needs a blog entry all of its own! This remains the major headache to make EU-wide rail workable. Rail company websites, with the exception of Deutsche Bahn’s, remain pretty damned awful, and often will not give you prices for tickets right through to your destination. Services like Loco2 (UK), Capitaine Train (FR) and Waymate (DE) are trying to make EU-wide booking viable. Buying two tickets for a journey can sometimes be cheaper than one through ticket, even within one country. Working out how and where to split is one of the most time consuming processes when trying to get decent ticket prices. This stuff takes a lot of time and learning still. I always try to avoid the websites of Eurostar, SNCF and Thalys if I can, but sometimes that is impossible, especially if you want to amass frequent traveller points (see below). Think as you would when booking flights – book ahead! Most rail companies allow you to book 3 months ahead, and operate a rolling booking system, where days become available one at a time. Put a date 92 days ahead of your departure in your diary! If you then cancel your trip, different countries’ railways have different systems. DB makes a 15 Euro fee to cancel a ticket, but more or less any ticket can be cancelled, while Eurostar and SNCF tend to make their cheapest tickets impossible to cancel or refund. Most railways (Eurostar, DB / ÖBB / SBB (mostly), SNCF / SNCB (partially)) have online ticketing systems, where you either download a PDF, or have a barcode on your smartphone. This option, or paper tickets sent to your home address, are almost always preferable to collection of tickets at ticket machines in stations. Always avoid having to collect a ticket at a station in a country other than the country with whose company you purchased the ticket in the first place – it’s very often a nightmare. If you travel a lot by train a Frequent Traveller card can be very helpful. Here again DB excels, with its combination of BahnCard and BahnBonus cards giving reductions for regular travellers, and access to lounges in railway stations in many European countries, including Eurostar. While DB and Eurostar lounges tend to be better than SNCF’s, all of them give you a quite place to work with free internet access if you have an hour to spare at a station. Quality and amount of space varies enormously. German ICEs generally offer more legroom and headroom than Thalys / Eurostar / TGVs. Spanish and Italian high speed trains generally have more than 2 classes of accommodation to choose from – the higher levels are very smart. For business travel I would never have a problem with 2nd class on DB, but always try to go for first class on Thalys or TGV if I can, if the upgrade is not too costly. On DB it is also possible to book in a quiet carriage – always worth doing. Most French trains are compulsory reservation, while German trains are optional reservation, for a €4 charge. I will always pay this if my journey is longer than an hour. I’ve had some delays when travelling by train in Europe, but few serious issues. Some lines (notably Brussels – Köln) are less reliable than others, and night trains are more prone to delay than daytime trains and high speed trains. Also if you use a night train, make sure you book a Schlafwagen (Sleeping Car / Voiture Lits), rather than a Liegewagen (Couchette) – you will not be in a good state for a business meeting after a night in a counchette. My second major gripe, after ticket booking. Too few European rail services are wifi-equipped. Thalys is the only high speed service with wifi, but it’s often so slow so as to be unusable. DB has wifi on some routes only, while no Eurostars and very few TGVs are currently wifi equipped. I partially work around this using a Huawei mifi, but even still I do not have proper internet access on moving trains. So then, does it work? The answer is yes, but with a few niggling problems, and that it will not work for all business travel in Europe. But the next time you’re travelling for work, try booking it with the train. If you have questions or need assistance then do ask below, or tweet me – I’ll do my best to help! I most definitely do not regret taking the train rather than the plane. I disagree with you on couchettes (Liegewagen), in general, they’re comfortable enough to get some sleep, and in some stations, you can have a shower to be completely refreshed, so you don’t look like a wreck in a meeting. The DB probably has the best international travel planner, SBB’s and ÖBB’s is almost the same, but also the Belgian’s SNCB website uses the same database and planner, but with some possibilities switched of. One has to be careful, tough, it depends largely on the different national operators which information is known to the search engine, e.g. no Cercanías are shown, because Renfe only provides information about its medium and long distance trains, and neither are many private operators in Italy, Spain or France included, such as TRENORD, CF de Provence, Euskotren… Best national planner for me is the Swedish resrobot.se, which includes every mode of transport, from private vehicle, bus, trains to airplane. Booking an international ticket is higher science, indeed, and it is not improving, unfortunately. DB doesn’t sell Thalys tickets anymore, for instance, although they still give the hours of departure on their website, luckily. Hm, I wonder what went wrong in that case. The train certainly wasn’t full. When I got off at Hamborg H, I tried looking at the train from the outside to see if I would find any 1st class seats, so I thought that the answer was lack of 1st class seats. However, I might have overlooked something. I have seen 1st class seats on lots of domestic IC3 trains, for example on the Østerport-Frederikshavn line. Another thing: Do you know what happens if your connections break due to delays at a place where you had to split your booking? My typical journey goes from Stockholm to somewhere in Denmark, and this typically requires a change of tickets at København H. Swedish tickets, as well as DSB Orange tickets, can only be used on the booked services, and I’m always worried about delayed trains to Copenhagen. It’s sometimes possible to avoid a change of tickets by booking an Europa-Spezial to Flensborg, but the Swedish Europa-Spezial is somewhat limited: it doesn’t support the Stockholm-Malmö night train, and you can’t mix carrier 1174 (night train & X2000) with carrier 3126 (Öresundståg); the entire trip through Sweden has to be made using only one carrier. The law (article 16 of EU regulation 1371/2007) suggests that I might be in trouble if the connections break in Copenhagen (different bookings = different transport contracts I suppose), but I’m not sure if article 15 would help here. @kjglkajgkljalkga – having travelled on these EC trains (both the Hamburg-København, and Hamburg-Aarhus ones), I can confirm there most definitely *are* 1st Class seats. These trains are operated with IC3s, and as you can see in the photo on the Wikipedia page about them here there is 1st class – yellow line above the windows. 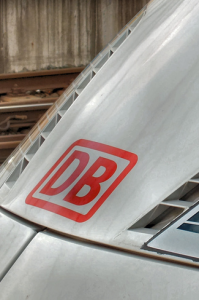 I’ve just tested it on the DB website, booking Hamburg Hbf – Vejle st. on the morning EC and 2nd class reservations work without any problem… Could it just be that on the train you’re trying to reserve there is a large group booked or something? You might have to try calling DB. Do you have a solution for a seat reservation problem I’m having? Let’s say that I’m trying to book a first-class ticket with DB involving several trains, one of them being an EC train running between Germany and Denmark. These EC trains do not have first class seats, so DB tells that all seats are “sold out” and won’t sell me any seat and won’t offer me any second-class seat either. Is there some easy way to reserve a seat on that EC train separately? On the DB website, I can make a separate seat reservation for trips within Germany. If I’m going from Germany, I could book a seat from the station where I’m getting on and to the last stop in Germany and hope that no one has reserved the same seat for a domestic Danish trip. However, this isn’t very useful in the opposite direction. On the DSB website, I can make separate seat reservations for IC and ICL trains but not for EC trains.